Preble County Commissioner Denise Robertson presented Victim Witness Advocate Brenda Miller with a proclamation naming April 7-12 National Crime Victims’ Rights Week in Preble County. Crystal McKown shared her story, involving several incidents of domestic violence and abuse in her life. 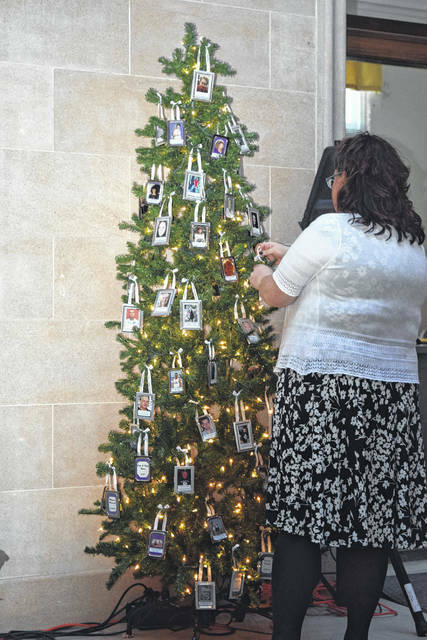 During the ceremony, three names of crime victims were added to the remembrance tree. 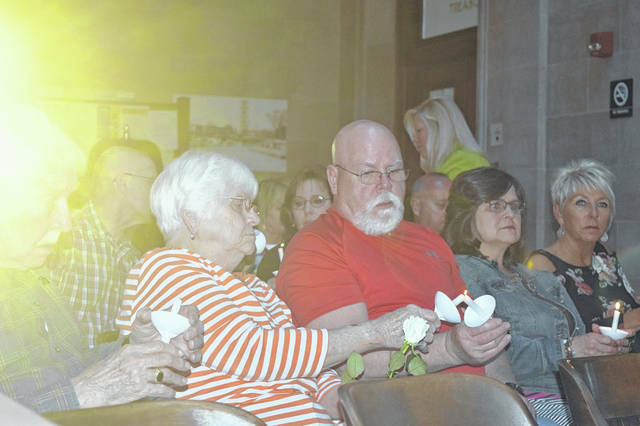 The Preble County Victim Witness Program held its annual Preble County Crime Victims’ Rights Ceremony on Tuesday, April 9, in honor of National Crime Victims’ Rights Week 2019. 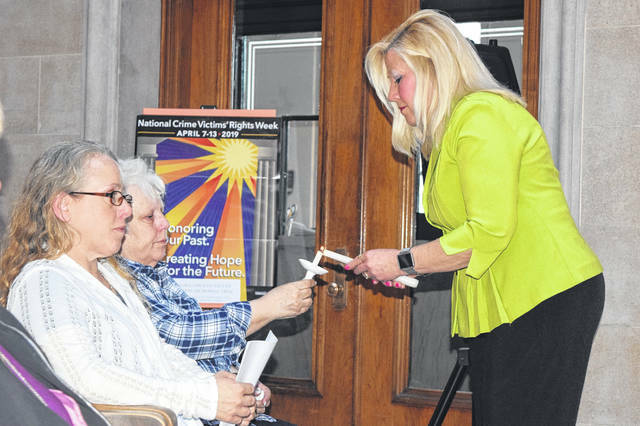 EATON — The Preble County Victim Witness Program held the annual Preble County Crime Victims’ Rights Ceremony on Tuesday, April 9 in honor of National Crime Victims’ Rights Week 2019. 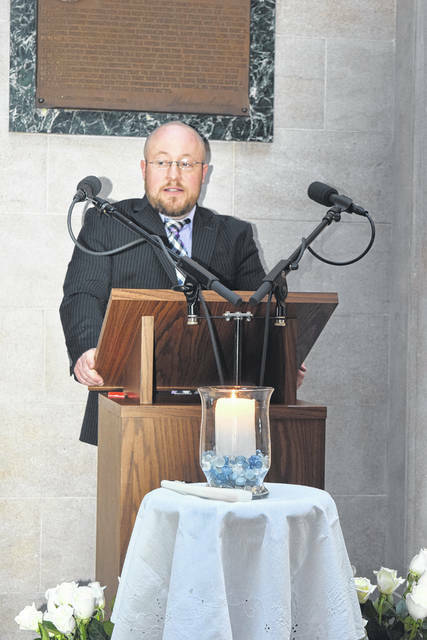 “When I was putting my thoughts together for what I was going to say this evening, the theme hit me that there is deep meaning to this community with this theme. I would like to take some time to talk about your input and what you do to contribute and your voice in this year’s theme,” Marit said. “Everyone has a different way of honoring our past. 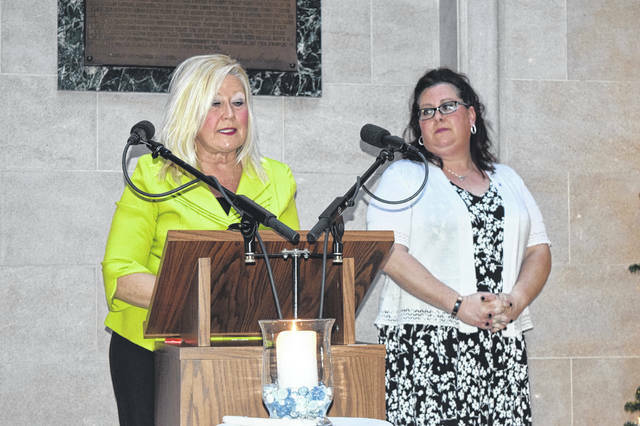 Some people create memorials, there’s 5Ks, scholarship funds – this program tonight is the Preble County Prosecutor’s Office and the Preble County Victim Witness Program’s way of honoring you as victims, fighters, and family members. We thank you all for being here tonight. “Unfortunately, tonight we will be adding three new names to our tree. It is a somber way of adding and honoring three lives cut short by the bad decisions of another. Which is the path that set us all here this evening, a bad decision made by somebody else. Crystal McKown shared her story, involving several incidents of domestic violence and abuse in her life. It began when she was molested as a little girl and later date-raped as a teenager. She kept both of these incidents a secret until years later. According to McKown, this led to several unhealthy relationships as she became an adult. She detailed the domestic violence she endured at the hands of several abusers. 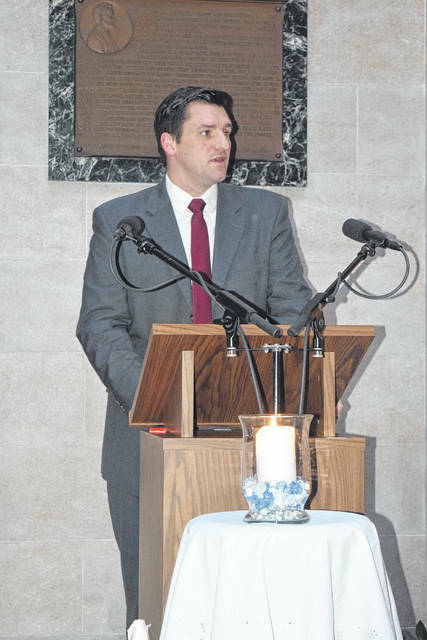 The event also featured special music by Something Good, a time of sharing, Pledge of Allegiance by Eaton Police Detective Pete Wray, and a concluding prayer by Community of Faith Pastor Jeff Travis. The Clothesline Project was also displayed on the first floor of the courthouse and provided by the local YWCA Domestic Violence Shelter. It is a vehicle for women affected by violence to express their emotions by decorating a shirt. They then hang the shirt on a clothesline to be viewed by others as testimony to the problem of violence against women. It becomes a healing tool for the survivors and en educational tool for those who view the project. 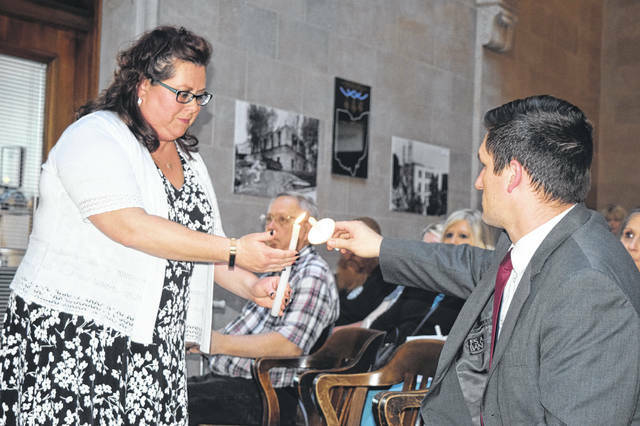 The 11th annual Victim Witness 5K Walk/Run will be held on Sunday, Sept. 29.
https://www.registerherald.com/wp-content/uploads/sites/41/2019/04/web1_Victim2.jpgPreble County Commissioner Denise Robertson presented Victim Witness Advocate Brenda Miller with a proclamation naming April 7-12 National Crime Victims’ Rights Week in Preble County. 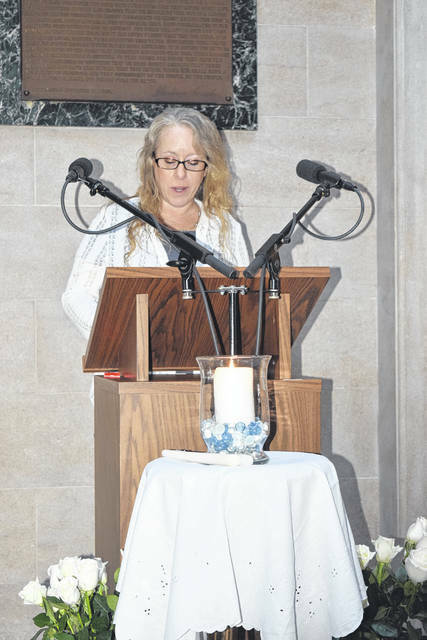 https://www.registerherald.com/wp-content/uploads/sites/41/2019/04/web1_Victim3.jpgCrystal McKown shared her story, involving several incidents of domestic violence and abuse in her life. 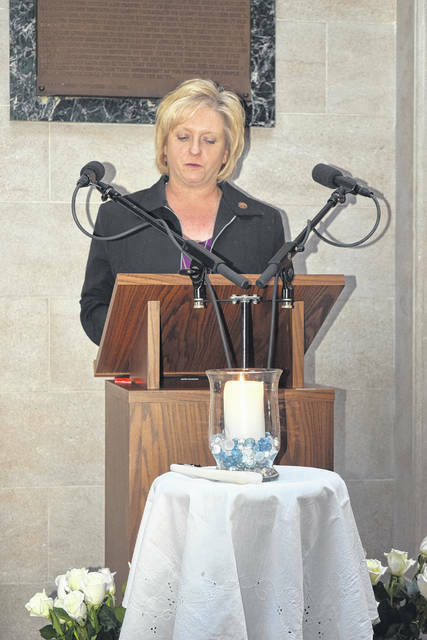 https://www.registerherald.com/wp-content/uploads/sites/41/2019/04/web1_Victim5.jpgDuring the ceremony, three names of crime victims were added to the remembrance tree. 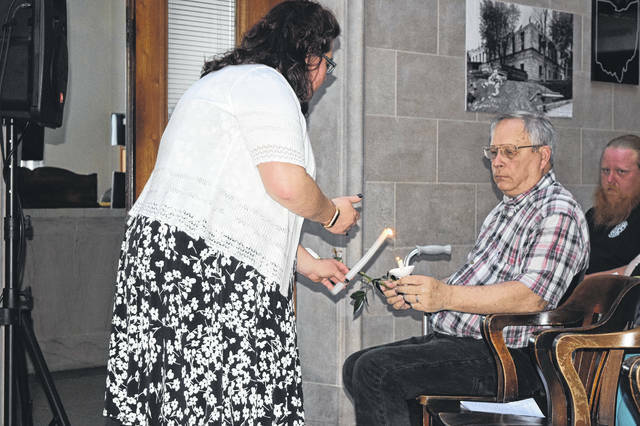 https://www.registerherald.com/wp-content/uploads/sites/41/2019/04/web1_Victim7.jpgThe Preble County Victim Witness Program held its annual Preble County Crime Victims’ Rights Ceremony on Tuesday, April 9, in honor of National Crime Victims’ Rights Week 2019.